The Association of Consulting Foresters of America, Inc. (ACF) was founded in 1948 to advance the professionalism, ethics, and interests of professional foresters whose primary work was consulting to the public. The ACF is the only national association for consulting foresters. AgMap is an online searchable directory of America's agricultural businesses, which includes producers, processors, and service providers. AgMap contains listings of not only traditional agricultural businesses, but also the businesses in forestry, turf grass, landscaping, nursery, etc. The American Forest Foundation (AFF) is a nonprofit 501© ® conservation and education organization that strives to ensure the sustainability of America’s family forests for present and future generations. Established in 1961 The Ruffed Grouse Society (RGS) is the one international wildlife conservation organization dedicated to promoting conditions suitable for ruffed grouse, American woodcock and related wildlife to sustain our sport hunting tradition and outdoor heritage. The Quality Deer Management Association (QDMA) is a non-profit wildlife conservation organization dedicated to ensuring a high-quality and sustainable future for white-tailed deer and white-tailed deer hunting. Forestry.com is an exclusive online directory (forest industry companies and professionals only) that makes it easy for you the visitor to find the services and products you are searching for. ForestryUSA provides quick access to all the Internet sites of the federal and state governments, the forest industries, service and supply companies, associations and NGOs, consultants, education and research, forestry news, employment opportunities, and much more. The National Wild Turkey Federation is a national nonprofit conservation and hunting organization that, along with its volunteers, partners and sponsors, has worked for the conservation of the wild turkey and preservation of our hunting heritage. 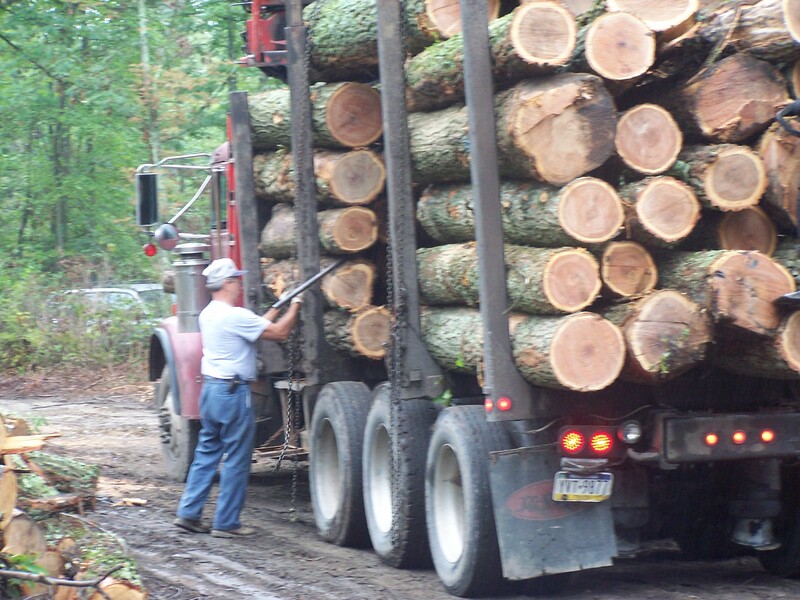 Pennsylvania Forestry Association is a broad-based citizen's organization that provides leadership and education to ensure the sustainability of all forest resources. Pennsylvania Forestry Association is the oldest forest conservation organization in North America. PLN is your window to the information and resources that connects you to conservation. Learn about the conservation opportunities that can assist you with land management, capital preservation, and tax & estate planning strategies. Brought to you by the Private Landowner Network, the Conservation Tax Center can help you find up-to-date tax and estate articles related to land conservation. The PSU, School of Forest Resources is unique within Pennsylvania, representing the only professional education and research institution dedicated to the management of forest resources and their use by our society. TimberSource.com is an online listing and notification service that connects buyers and sellers of land, timber and unprocessed forest products. The PA DCNR, Bureau of Forestry’s mission is to ensure the long term health, viability and productivity of the Commonwealth's forests and to conserve native plants.